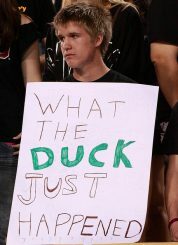 Last week I wrote a satirical article in an attempt to point out the unrealistic expectations of many Oregon fans. It was heavy on irony, saying exactly the opposite of what I meant in most instances. And now, just one week later, reality and expectations came crashing down upon us in the form of a 62 – 20 drubbing at the hands of the Utah Utes. There is no need for irony and satire now. Reality is the only medicine. For a moment I do not even want to talk about Oregon. Lets get rid of the emotions that involve your favorite team–for me a team I have been following religiously since the mid 1970’s. Lets talk about Alabama. And Alabama is not a past power that has lost its winning ways, like Army. It remains a top program even today and has regularly challenged for National Championships over the past 20 years (as I’m sure you already know). Here’s the catch: over the past 20 years, they have won less than 70 percent of their games. Do you remember 2014 when they finished 12 – 2? Also remember 2004 when they were 6 – 6. Do you remember 2013 when they were 11 – 2? Don’t forget 2000 when they were 3 – 8. Alabama, with some of the best storied traditions in college football. Alabama, with loads of top recruits right in their backyard or, at worst, in a nearby state. Alabama, where football is more like a religion than a sport. Kelly, in fact, is experiencing a similar season in Philly. When it’s not our team, we do not notice the bad years that are eventual and inevitable. This is a zero sum game—for every winner there must be a loser and the average aggregate winning percentage is .500. 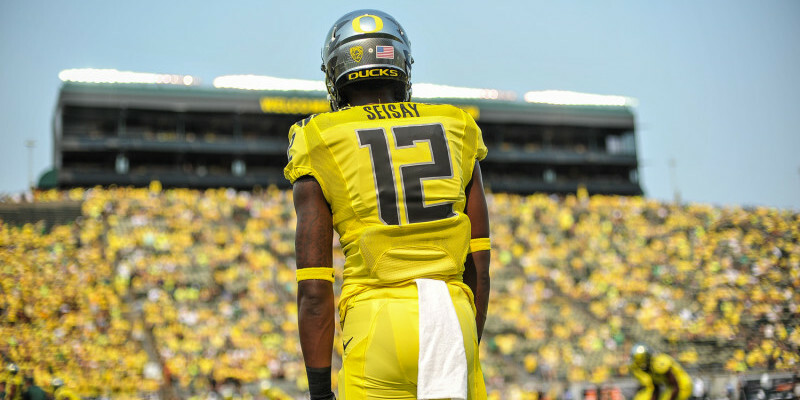 Oregon has one of the very best winning percentages in college football over the past 20 years. That includes a few down years under Mike Bellotti. 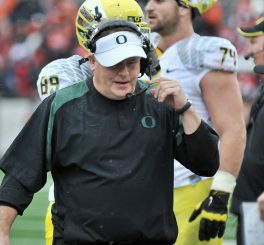 In the future it would have included a couple of down years under Chip Kelly, had he chosen to stick around. It will inevitably include a few down years under Mark Helfrich.